Short lead time: 3 days for ex-stock items and 2~3 weeks for made to order items. 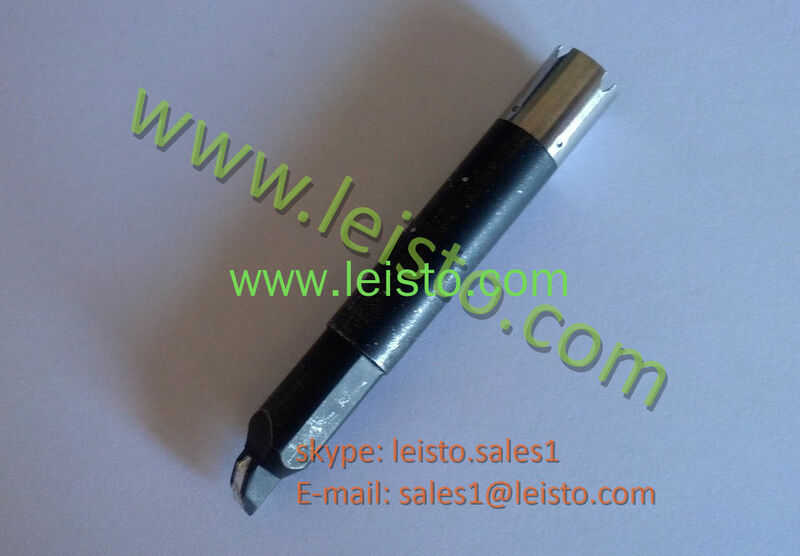 CROSS-BIT is high quality iron tip desinged for the use of automated soldering. It is fit for use with CROSS-HEATER. Stainless steel cross structure attached in position (female side) to meet the positioning projection on the inside of the heating element(CROSS-HEATER). Solder “tinned area” of tips pated with lead-free solder. 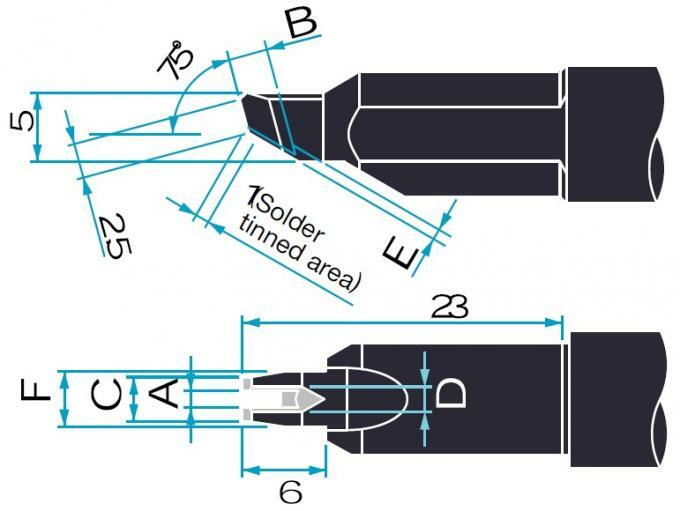 Available in numerous standard tip shapes, including point soldering and linear soldering. Tips available in three sizes, ranging from 100W to 300W, to meet specific heater capacities. Custom tips tailored to the customer’s specifications can be designed and built in multiples of 10. Standard soldering tip designed for use with Unix 200W cross-heater. other variations or special tips can be custom made.